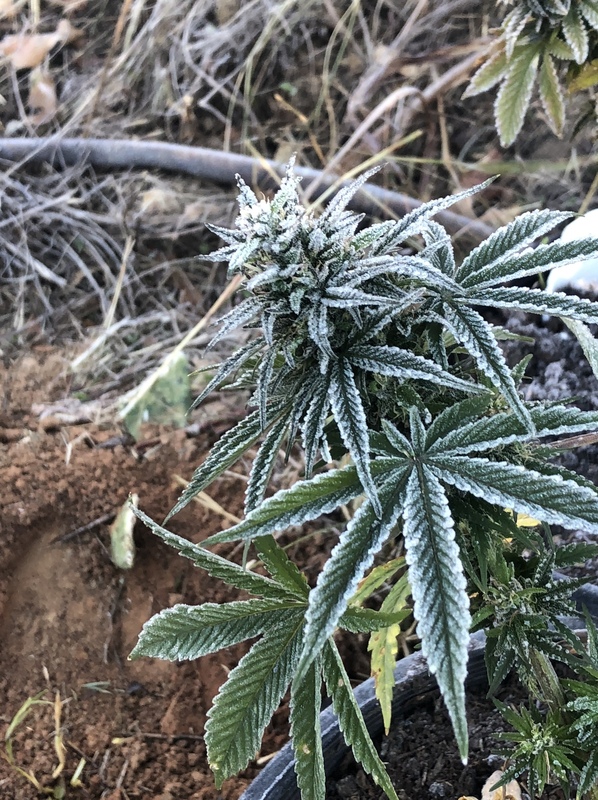 I have been receiving somewhat unsolicited growing lessons from some of the new growers in our state. Mainly indoor vs outdoors. You know perfect looks and oh....more and better tricome shots. So I am playing with a late harvest so it’s right at freezing night time and mornings. Early mornings there is a nip in the air and also a little bit of frost on the buds. That black drippers pipe has some pretty nice trichs on it as well! That's a terrible disease you have there. I noticed the same effect, just less intense out here in Calif. yesterday morning. Wished I was that dumb for a moment. Duuuuuude, my car is covered in Trikes! Damn! 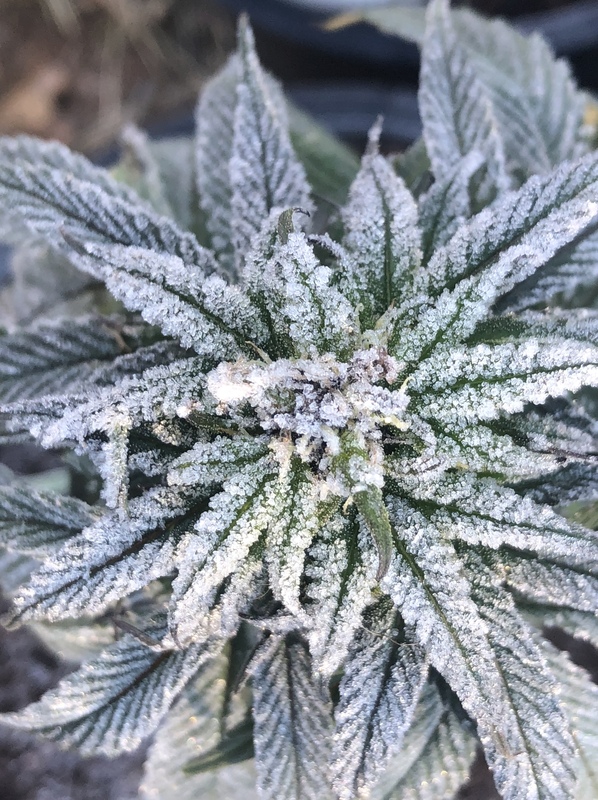 They be some FROSTY plants lol! 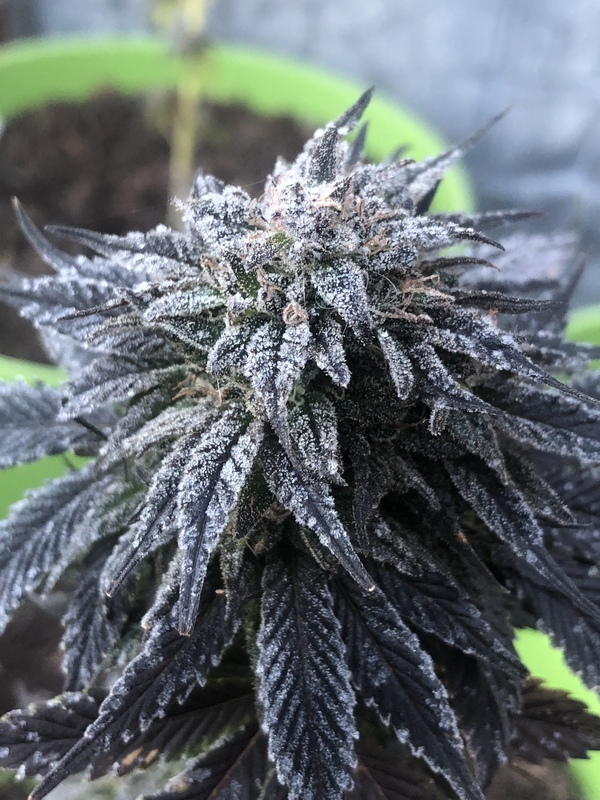 I'd love to aquire genes for Frost like that.